Evidence from Fossils show the Earth had a shorter day and the Moon would be much closer. The Moon is moving away from Earth at a rate of 4cm a year. The effects of tides is causing Earth to slow down which in turn causes the Moon to lose momentum and slow down, moving it further away. Millions of years in the future the Earth-Moon system with be tidally locked like Pluto and Charon. 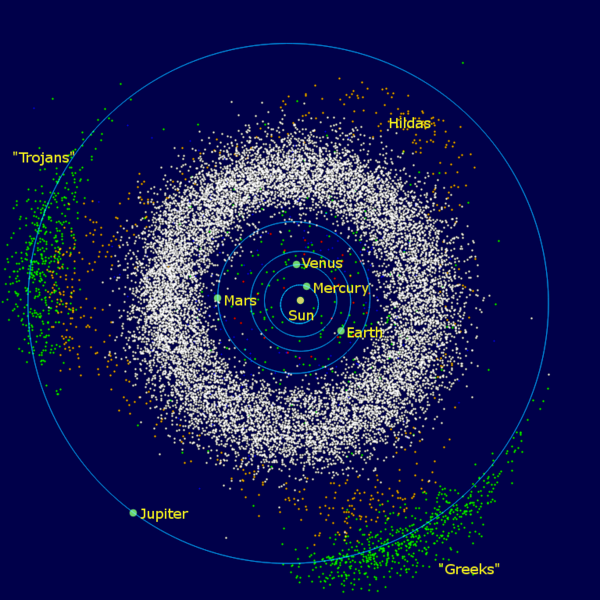 The asteroid belt has enough material from its asteroids to make a small terrestrial planet however the tidal effects of the orbits of Mars and Jupiter prevented anything larger than the dwarf planet Ceres from forming. We can see in Saturn's rings that the ring gaps are caused by small satellites which clear a path in their orbits. When a body is close to another it may experience stress caused by the larger bodies influence. 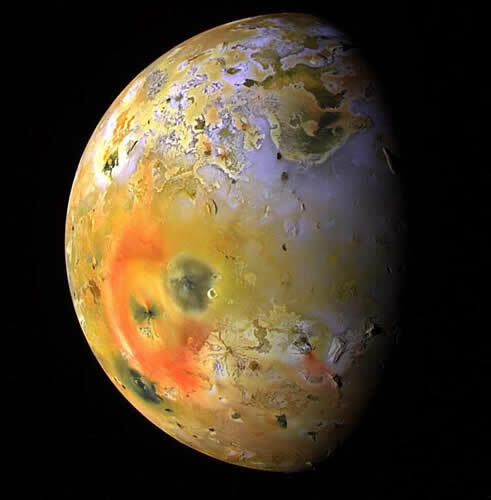 Io is one of the closest moons of Jupiter. Its interior is heated by the gravitational effects of Jupiter, and also the other larger moons. It is a satellite characterised by being the most geologically active body in the solar system. Volcanoes scar its surface and have been observed by probes. Tidal forces are responsible for many of the effects on bodies in the next pages.